Come down to Martyn St Reserve on a Saturday morning and the place is awash of colour. There is about 50 primary and prep aged kids getting a love of softball. 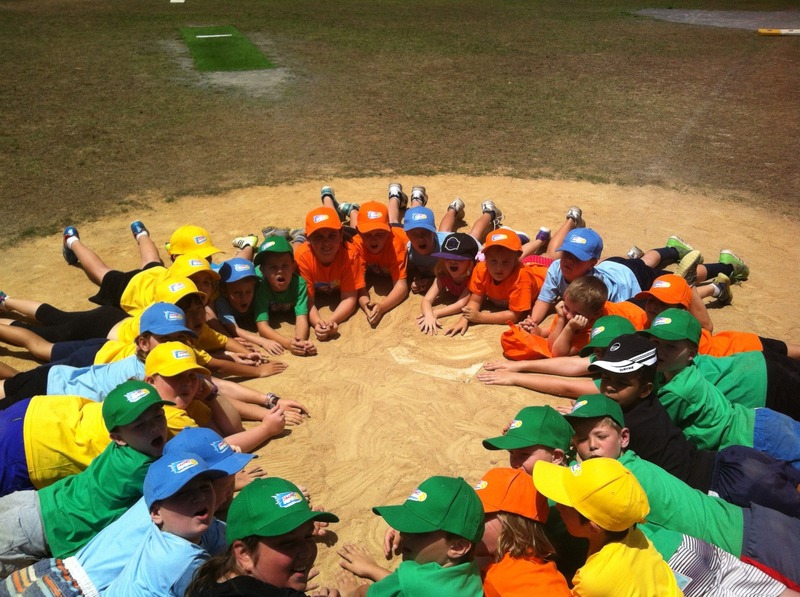 The current Softball Australia development program called Swing Into Softball is in full swing. The program runs for eight weeks before Christmas and then for another six weeks after. 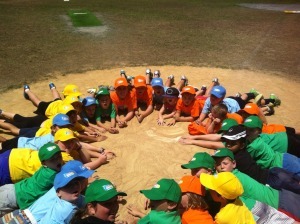 The kids are put through a series of warm up skills enabling them to pick up the basic skills needed to play softball. Then they play a game. Depending on the age of the child and level of development, this game could involve hitting the ball off a Tee or a thrown ball. Either way fun is guaranteed. 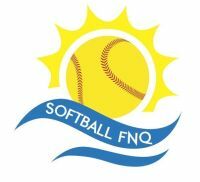 Its not too to join, if you have children interested in trying softball, bring them along for a try at 9:30am - 11:00am on Saturdays. The cost is $100 per child and includes a t-shirt and cap.